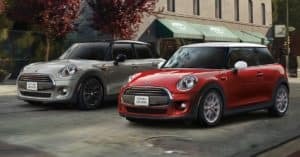 When you’re getting a new MINI Cooper near Annapolis, Highland Beach, or Hillsmere Shores, there are several steps you’ll need to take. First, you should pick out a couple models that interest you. Afterwards, take them on a few test drives to get a feel for their performances and features. Finally, after finding “the one,” you’ll need to decide whether you want to buy or lease it. Both have their benefits, but the latter may be a better fit for you. Below, we’ll address the question of whether you should lease a car. 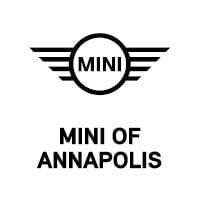 If you have any other inquiries while reading, feel free to contact the experts at MINI of Annapolis. Leasing is a great option for people who prefer getting a new ride every few years. Since lease terms typically last about three years, you can regularly get a vehicle with the latest amenities and technologies. When you lease a brand-new car, it’s usually still covered by the manufacturer’s warranty. As a result, you may get free oil changes or other scheduled maintenance. Plus, by having the car for a short while, it most likely won’t need major repairs or replacements. As long as you keep up with the routine maintenance, you’ll have a well-maintained vehicle to enjoy until it’s time to return it to the dealership. Speaking of which, getting a new lease is quite simple. Once the term is up, you just return the vehicle to the dealership and exchange it for a new ride. Since you didn’t buy the car, you won’t need to go through a selling process down the line. Another benefit to leasing a vehicle has to do with paying for said car. With a lease, you’re paying for the automobile’s depreciation. Therefore, your monthly payments are typically lower than if you were financing the same model. This option gives you some freedom in what type of vehicle to get—meaning you could get one with heated seats or other extra features while sticking to your budget. The process for leasing a MINI is easy when you work with the experts in our finance center. We’ll guide you through each step of the process, which includes covering any lease offers that may be available for your automobile. We’ll also help you decide which mileage package is good for you. Whether you have a short commute or like going on regular day trips, a yearly 10,000-mile, 12,000-mile, or even 15,000-mile package could work for your lifestyle. Afterwards, we’ll cover a variety of vehicle protection plans that you could add to your lease agreement. These are optional and can cover you in a number of different automotive services. If you have a vehicle that you’re wanting to trade in, one of our staff members will evaluate it to get a value. We’ll then use that amount as a down payment, helping lower the total cost of the car even further. 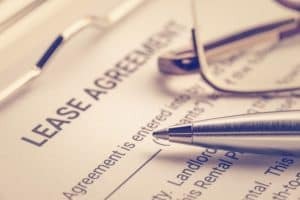 Once we have your entire lease plan all laid out, we’ll have you sign on the dotted line. Then, you’ll get to drive home in a brand-new MINI until the term is up, and you exchange it for a new ride. If leasing a MINI Cooper sounds like something you’d be interested in, contact our team at MINI of Annapolis. We’ll assist you with each step of the process and have you driving home to Annapolis, Highland Beach, or Hillsmere Shores in a brand-new vehicle in no time!